Disney+ is nearing a deal to bring a “Love, Simon” follow-up TV series to the upcoming streaming service, an individual with knowledge of the project tells TheWrap. 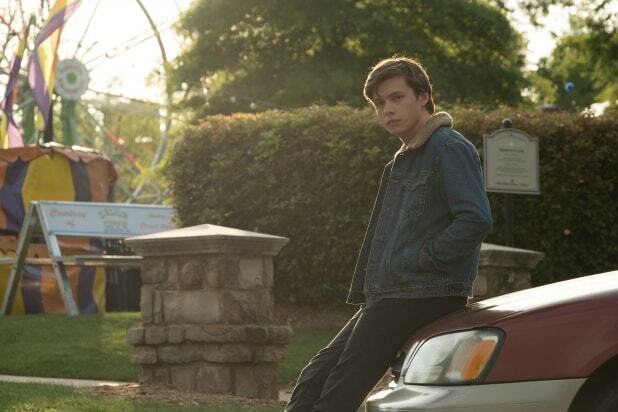 Should it be ordered to series, the individual tells us the “Love, Simon” show would be produced by the now-Disney-owned 20th Century Fox Television. The TV studio’s soon-to-be-shuttered film sibling, Fox 2000, produced and distributed the 2018 flick starring Nick Robinson. Screenwriters Elizabeth Berger and Isaac Aptaker would serve as showrunners on the series. However, director Greg Berlanti will not be involved with the project in any capacity, due to his overall deal with Warner Bros, the individual tells us. No casting or plot details are available at this time, according to the insider. Disney+ and 20th Century Fox did not immediately respond to TheWrap’s request for comment on the project. Starring Robinson, Jennifer Garner, Katherine Langford and Josh Duhamel, “Love, Simon” was by touted by 20th Century Fox Films as the first gay teen romance film released by a major studio. Strong reviews and a 91 percent Rotten Tomatoes score led the film to an $11.5 million opening weekend last March, on a production budget of $17 million. News of the “Love, Simon” series came Thursday, just as Disney was formally unveiling its forthcoming service during an investor event at the company’s Burbank, California studios. Along with housing titles from Disney brands including Marvel, Pixar, LucasFilm and its own vault, Disney+ will feature a number of original productions. Additionally, Marvel Studios is developing four different series centered around characters from the Marvel Cinematic Universe, including Loki (Tom Hiddleston), Scarlet Witch (Elizabeth Olsen), Vision (Paul Bettany), Falcon (Anthony Mackie), Bucky Barnes (Sebastian Stan) and Hawkeye (Jeremy Renner).